What is a Virginia Last Will and Testament? 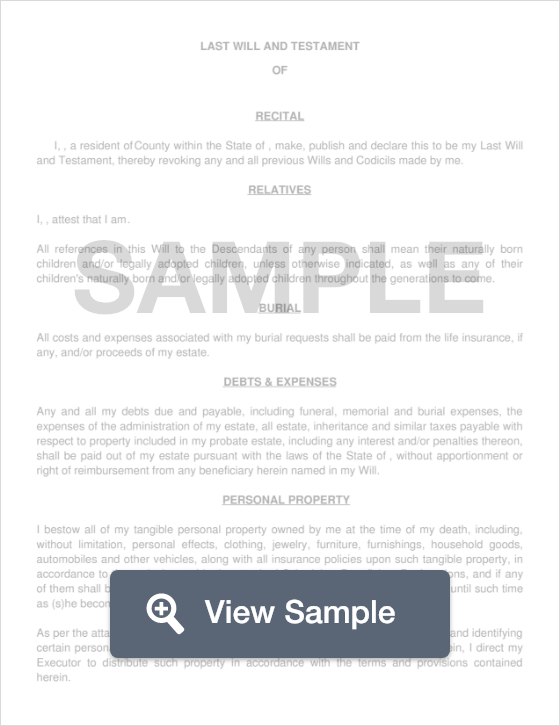 Virginia Last Will and Testament: What Is It? In Virginia, a Last Will and Testament is a legal document that transfers someone's assets to their beneficiaries once they die. Testators use a Will as a means of protecting their assets and ensuring that their belongings go to the people they intend them to. In Virginia, this document must be notarized and signed by two Witnesses in the presence of the Testator. If a Will is not handwritten by the Testator, then it must be signed by two (2) witnesses in the presence of one another (including the Testator).